Parkgate is a new townhome development in North Vancouver with 16 luxury residences nestled in a walkable community less than 10 minutes drive to downtown Vancouver. Your new Parkgate Townhome is perfectly situated just steps to parks, playgrounds and golf, on the edge of the North Shore’s unparalleled hiking and biking trails. This North Vancouver location feels like a resort village in the city with over 30 stores and healthcare practices only 4 minutes walk from home. 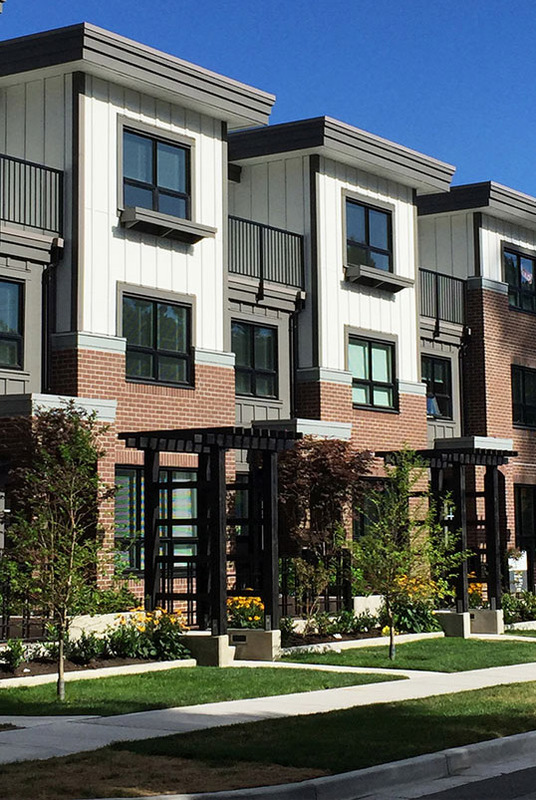 Designed by the award-winning firm of Robert Ciccozzi Architecture, the Parkgate townhomes exemplify the BUILT GREEN standards of resource-smart efficiency and offer functional floorplans for the best living experience possible at a price you can afford. With rich landscaping, brownstone-inspired architecture and private outdoor space, you’ve got one of North Vancouver’s finest choices for living and a sound real estate investment in the Metro Vancouver area.